Maybe you just brought home your first sewing machine, received one as a gift, or plan to purchase one very soon! If you’re ready to embark on your first sewing journey, there are a few tools you’re going to need along the way. 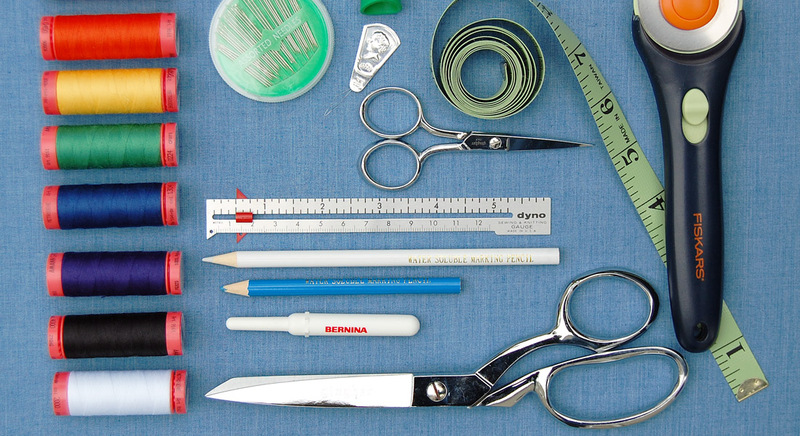 These are the most basic sewing tools for beginners, the tools you can’t live without. As you learn more about sewing, you’ll discover other tools to help with specific techniques and tasks to add to your sewing kit. 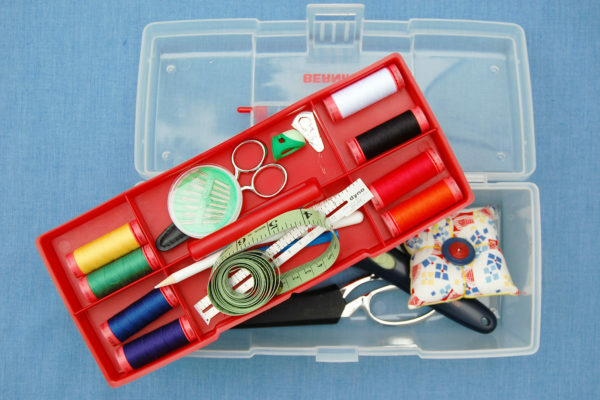 A good, basic set of sewing tools help with the little tasks involved in sewing (careful measuring, pinning, and cutting for example). Don’t forget to keep your tools in a box with a lid to protect them, not only from dust, but from other hands walking away with your tools! 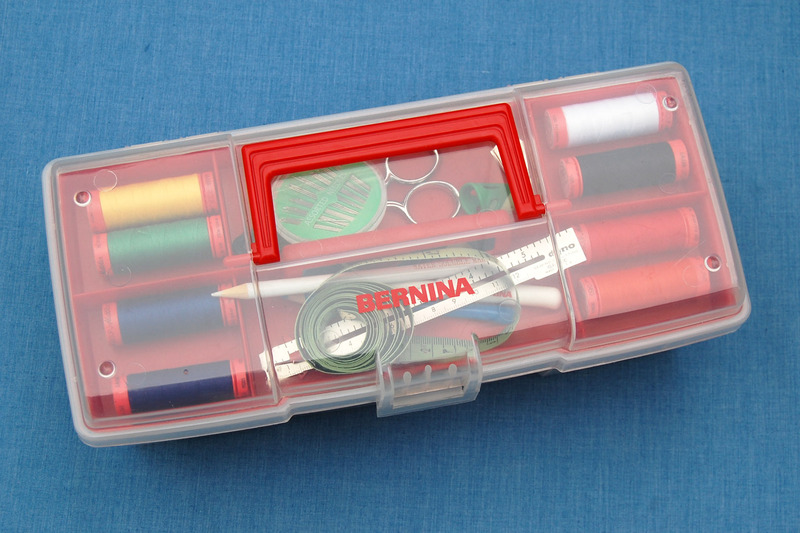 A simple sewing box, small tackle box, or any easy to handle box with a lid will work well. If you need a little help looking for a first-time project to sew to help build your skills, check out our Basic Sewing Projects for Beginners post for free, easy to sew projects and tutorials. You might also like our Basic Sewing Machine Tool Tips and Basic Sewing Techniques, both great for learning how to use your sewing machine. 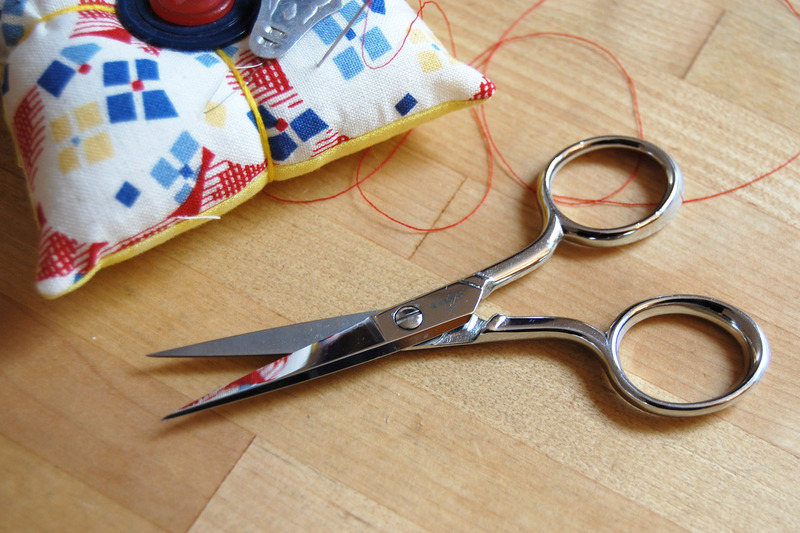 Bent-handled fabric cutting shears are the most important tool in your sewing kit. Also known as dressmaking shears, these scissors feature a bent handle to allow the lower blade to slide along the flat cutting surface. Fabric shears are made for either right or left hands, and come in 8″ length or longer. The longer the blade, the more fabric can be cut with a single cutting stroke, so choose the longest blade that fits most comfortably in your hand. The bottom blade of the shears should always be in contact with the cutting surface as you cut, taking full cutting strokes with the whole length of the blade. Exact cutting of fabric pattern pieces is the first step in a successful sewing project! The better quality fabric shears you can afford, the easier your cutting work will be. Make sure to protect your fabric shears from cutting anything other than fabric, keep them clean, and keep the points protected when not in use (either store them in your sewing box, a drawer, or a protective case). A pair of small, pointed scissors 3″ – 3 1/2″ in length are perfect for small cutting jobs. 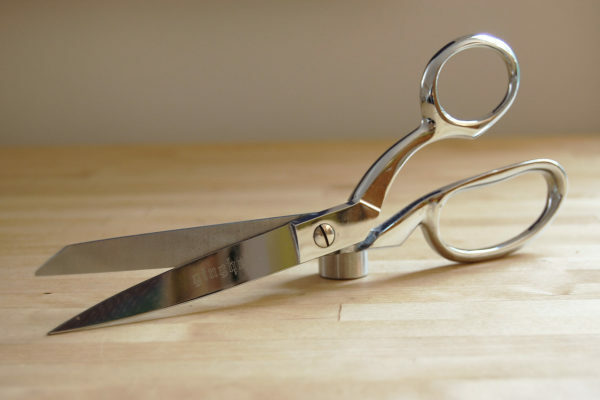 Keep these scissors handy near your sewing area for snipping threads, cutting stitches, and opening buttonholes. 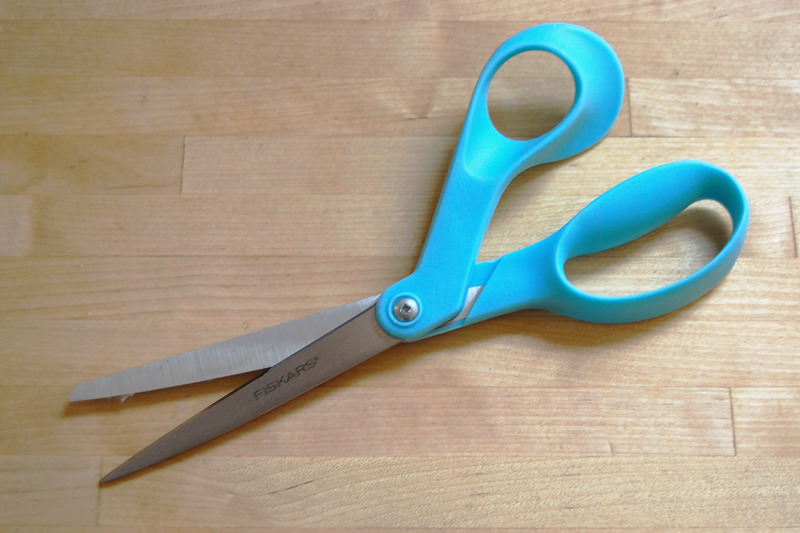 Make sure to only use these scissors for sewing tasks, as cutting paper is the fastest way to dull your sewing scissors. We all make the occasional sewing mistake and as the saying goes, “When in doubt, rip it out!” The “U” shaped seam ripper has one pointed end, one end with a red ball, and a sharp blade in the bottom curve. The long point is rounded to allow for slipping under a single stitch, pushing through will cut the stitch with the blade. The red ball is there to further protect your fabric from being cut or ripped as you use the tool. There will be times when you may need to cut paper, like a pattern or template. Keep a pair of paper scissors in your sewing tool box to make sure that your fabric shears are never, ever used to cut anything else! These craft shears can be any pair of 8″ or longer scissors that comfortable fit your hand. These tools are optional for cutting perfectly straight lines, and are a must-have if you intend on cutting patchwork pieces for quilting. Self-healing cutting mats allow for multiple cuts to be made with a rotary cutter. They will assist your rotary cutting blade in making a nice, clean cut while also protecting your table or work surface. The mat is also a useful measuring tool with a numbered grid line. A 36″ x 24″ mat is the most useful size as it will allow for longer cuts of fabric, and helpful measuring of fabric yardage. If you’re going to purchase one ruler, make it a 6″ x 24″ clear ruler to use with your 36″ x 24″ mat. 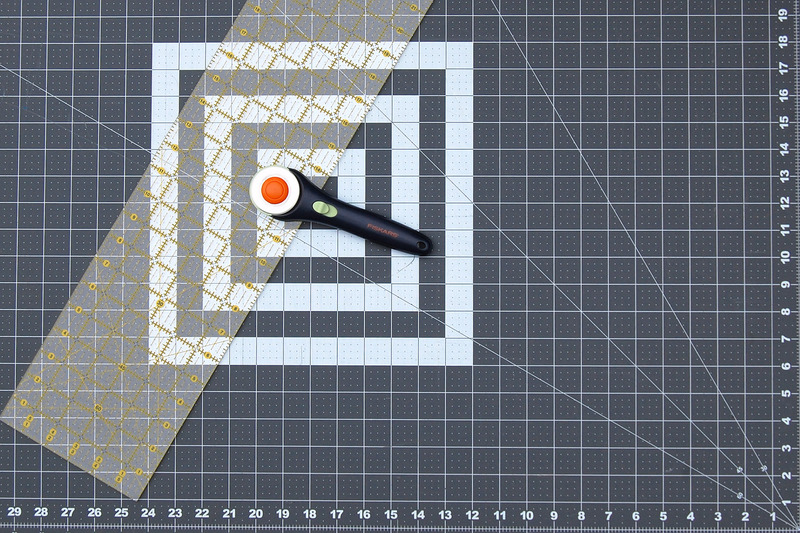 You can make long, straight cuts with the ruler and use it as a helpful measuring tool. Make sure to store your ruler either supported flat or hanging against a wall. 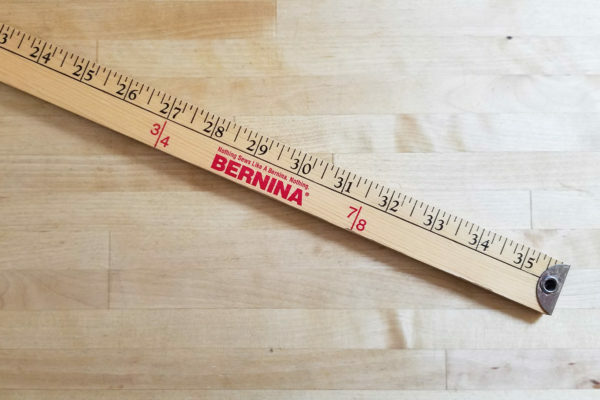 Avoid dropping the ruler (it can crack), storing it in a way that it sags, or storing anything on top of the ruler that may scratch it (the numbers and marking can be scratched off). A simple 45mm rotary cutter is the perfect tool to use with a 36″ x 24″ cutting mat and 6″ x 24″ clear ruler. These cutters come in lots of different handle styles, and if you have the chance to try a few out, be sure to purchase a handle style that feels comfortable for you. All rotary cutters include a safety to keep the blade from cutting when not in use. Be sure always to keep the safety cover engaged between cuts when you use your cutter – it is a super thin, razor sharp blade. 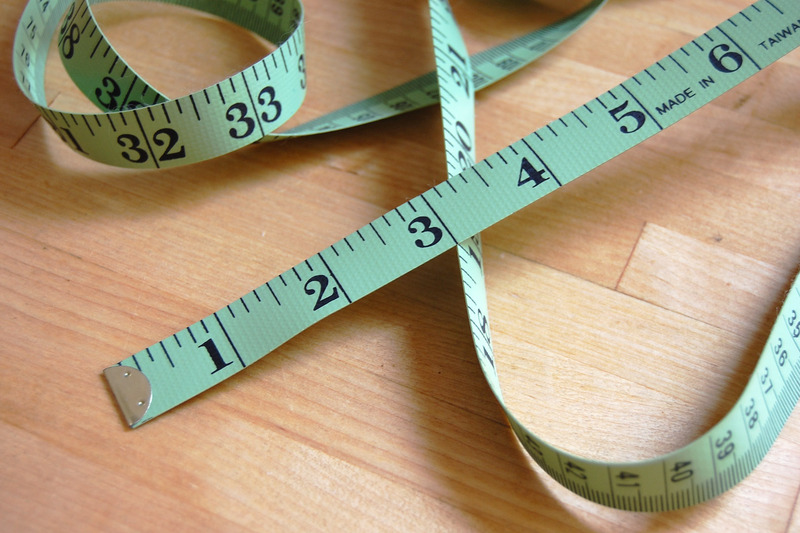 A 60″ flexible tape measure is a must-have for measuring around curves and taking body measurements. One side of the tape is marked in inches, and the other side in metric. Select a tape measure that has metal ends, is sturdy, and will not stretch. This tool is a 6″ long metal measure with a central sliding guide. The sliding guide can be set at a measurement to mark it for you, perfect for accurately checking hems, seam allowance, or buttonholes. A 36″ long wooden or metal yard stick includes markings in inches and fractions of yard measurements, which makes this the perfect tool for measuring fabric. If you already have a 36″ x 24″ cutting mat (mentioned above), you can use the 36″ side as a measurement for fabric instead of a yard stick. Sometimes you need to make a mark directly on your fabric when sewing. And when you do, you want to use a marking tool specially made for fabric. The most basic is the water soluble marking pencil. These pencils are available in white for marking on dark colored fabrics, and blue for marking on light colored fabrics. Keep one of each color in your sewing kit, and always test the pencils on a scrap of fabric first to make sure it will indeed wash out. You will see all kinds of specially formulated marking pens, chalk, and other tools available. 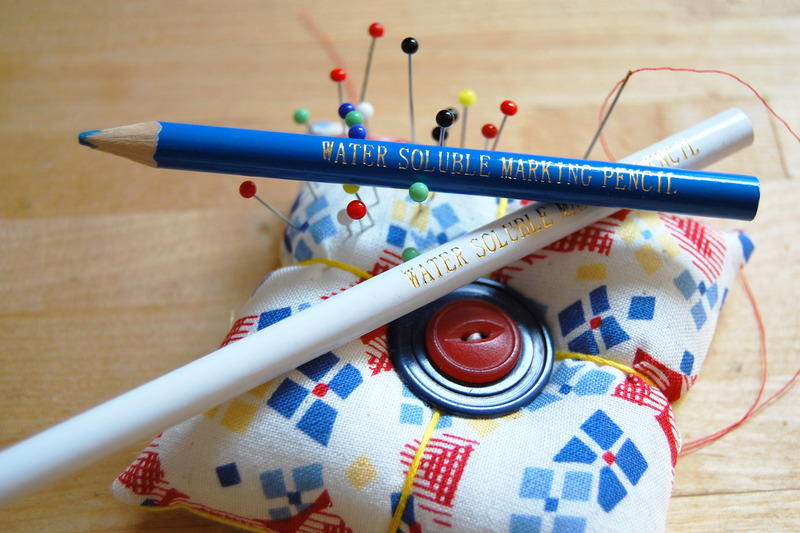 As you continue to sew and build your skills, you can expand your collection of fabric marking tools, but as an absolute beginner these fabric marking pencils are all you need. Sewing pins come in all different shapes, sizes, and types! The perfect pins for beginning sewing is the simple glass head pin. These pins are about average length, have a sharp point, and heads made of glass that will not melt if you accidentally forget to remove them before ironing your project. These pins will work well for most types of fabrics such as woven cottons, cotton blends, denim, fleece, felt, and more. Keep your pins sharp and clean by storing them in a container or pincushion when not in use. 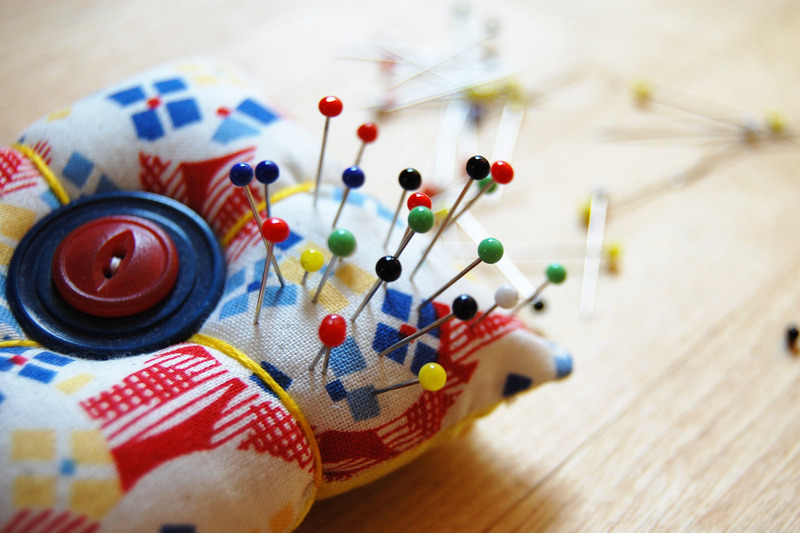 Pincushions make for quick, simple sewing projects, and we’ve got a whole list of pincushion tutorials you can check out right here! 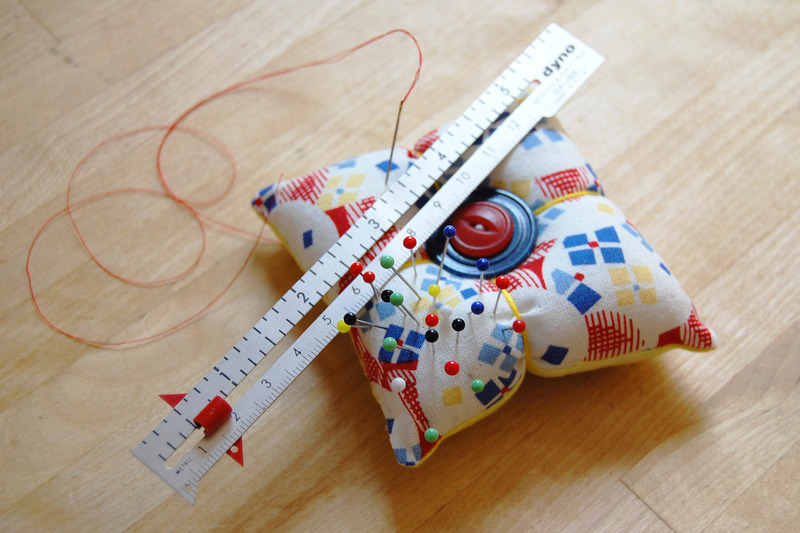 Even if you have a sewing machine, some sewing projects may require some hand sewing. Hand sewing needles are identified by type and numbered by size; the larger the number, the smaller and finer the sewing needle. You can start by purchasing a simple assorted pack of needles which includes a few different sizes and types. Or, pick up a pack of “Sharp” hand sewing needles in size 7 for your sewing kit. Size 7 sharps are good for all-purpose sewing with medium weight woven fabrics. As you advance to using other kinds of fabrics, like fine silks or heavy denim, purchase appropriate sized hand sewing needles for the task. 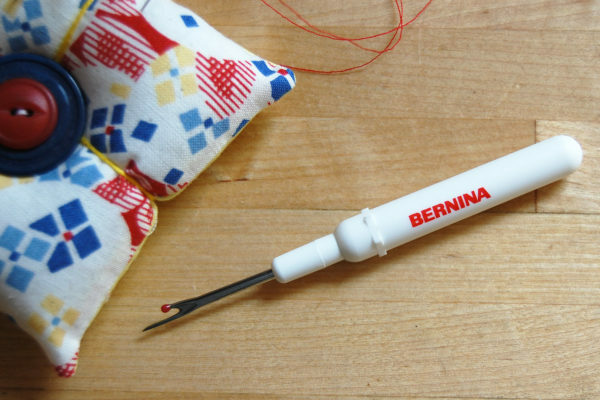 For more about hand sewing needles, check out this Needle Guide from Sewing.org. 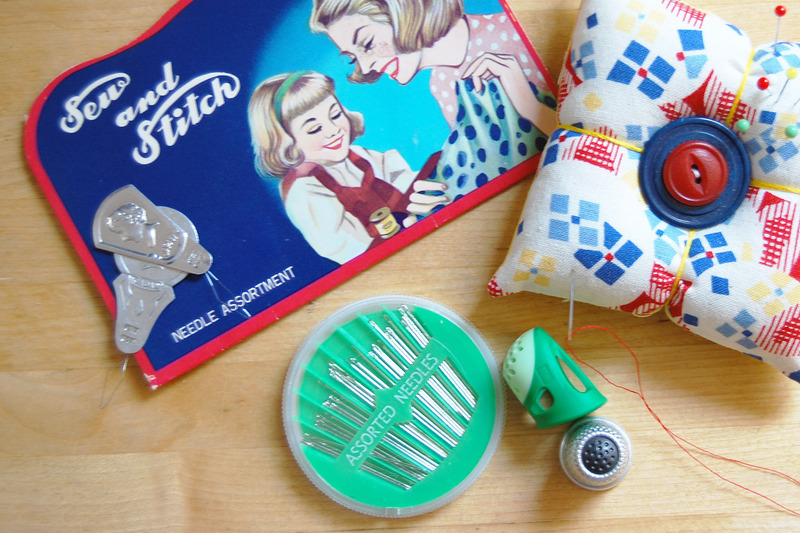 These little tools are a must-have for threading the small eyes of some hand sewing needles. Needle threaders come in an endless variety of shapes and sizes, but they all have a small pointed wire at one end. The pointed wire fits through the eye of a needle and allows you to easily pull the thread through – needle threaded, no problem. If you are hand sewing for a long period of time, a thimble will help protect your finger from constantly pushing the needle through the fabric. Thimbles come in all different shapes and sizes, some hard plastic or metal, some soft leather or rubber. Try a few different types on to see which feels best for you. 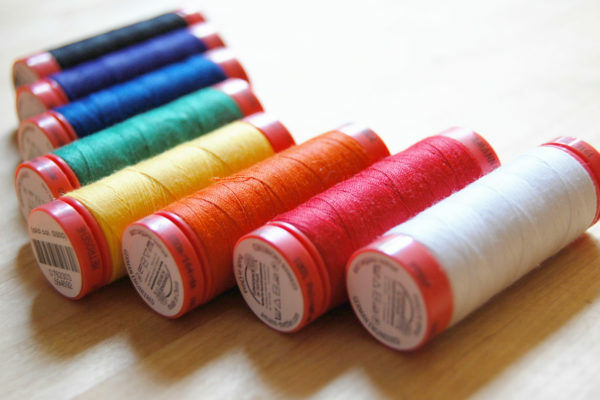 Don’t get overwhelmed by all the different types of thread available for sewing! Choose a high quality all-purpose sewing thread such as Mettler’s Metrosene. This thread is a strong, high tensile strength polyester with a smooth finish that won’t easily fray or cause extra lint in your sewing machine, and is equally suited for hand sewing. Metrosene is suitable for sewing cotton, synthetics, mixed fabrics, linen or silk, and can be used for garment sewing, crafting, decorative stitching, and quilting. Match thread color as closely as possible to your fabric, or use a neutral color like gray, white, or tan. Pressing seams as you sew is an important step that you shouldn’t overlook. Make sure you have a sturdy pressing surface such as a tabletop pressing board or steady, full sized board with retractable legs. Most pressing or ironing boards will offer the option of a removable cover, which is handy for occasionally washing. You can also recover your ironing board, check out this quick tutorial for making your own tabletop ironing board cover here! Choose a quality iron that includes variable settings for different types of fabric and steam setting. 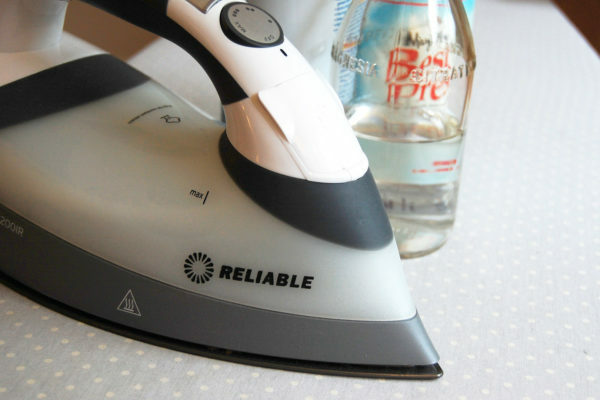 Some irons include an auto-off feature that will shut down the iron if not used after a certain period of time, which can help save energy and avoid accidents. Be sure to store your iron in a safe place to prevent damage, such as getting knocked off a table or ironing board. You may also choose to use a spray bottle with water to help relax stubborn wrinkles, or spray starch to set your seams or stabilize your fabric as you sew. Get a few quick tips on pressing here.